Dr. Mercado has been in practice for over 20 years. She started in the Philippines, after graduating from Centro Escolar University. She then started practicing in the United States in 2008, licensed by the Dental Board of California. 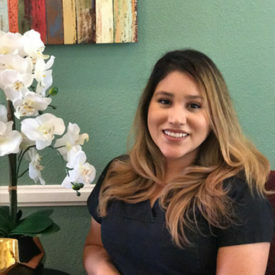 At Mercado Family Dentistry we do not want finances to be an obstacle in receiving the dental treatment that you deserve. All of our services are accompanied with state of the art equipment and maintained at the highest standards. Most of our treatments are covered by a long term guarantee which will be discussed with you before beforehand. With over 15 years of dental experience we are your go-to office for general care, restorative & cosmetic dentistry. I had a wonderful experience with everyone in this office. From Yessica at the front office, to the dental assistants and the dentist herself. I really appreciate how wonderful you all are, very friendly and caring. I highly recommend this dental office! Fantastic experience. Dr. Mercado and team were extremely professional and took great care to make sure I was comfortable. Highly recommend! We highly recommend Dr Mercado. 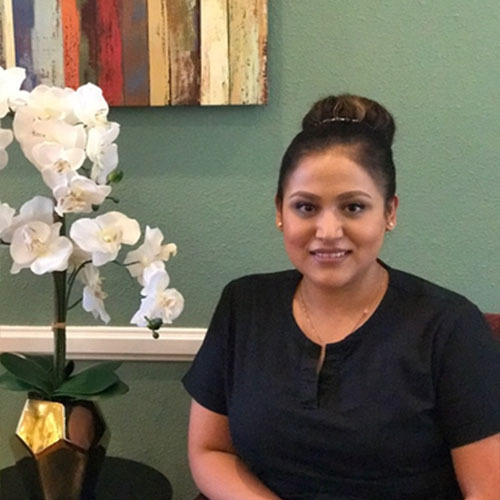 Her and the staff are excellent in every aspect of the dental experience, whether billing or reviewing options for dental work they put you at ease. Even calling for an appointment they can usually get in you very quick! They make going to the dentist fun! I take my family here and we love the staff and Mrs. Mercado. We always feel welcomed and they explain everything upfront. We recently took my son and he was a handful that day. The staff and Mrs. Mercado were very patient and understanding (where I know others would just say “you need to take your child somewhere else”). As a parent I really appreciate that. I’ve found my lifelong Family Dentist. Dr. Mercado has been in practice for over 20 years. She started in the Philippines, after graduating from Centro Escolar University. She then started practicing in the United States in 2008, licensed by the Dental Board of California. 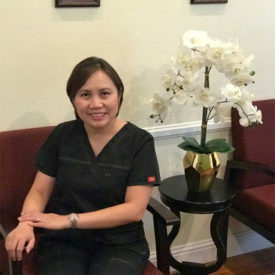 Dr. Mercado has a passion for Dentistry and reflects that passion in her work. She has compassion for all her patients and their needs, making them her number one priority. Hello my name is Hannah I’ve been in the dental field for a little over a year now. 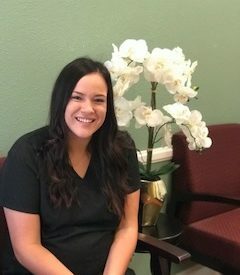 The reason I chose this career path is because I like interacting with people in a professional setting, becoming a dental assistant will give you plenty of opportunity to see patients from all walks of life. 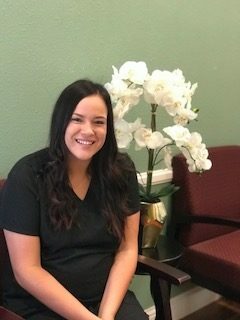 Not only will you meet and get to know dental clients and staff, but you can also be the person who offers comfort and assurance to someone who is nervous about being in the chair. Your friendly face and soothing words could truly make a difference in someone’s entire dental experience. On my free time I love going fishing and trying new foods along with relaxing at home. Hello my name is Irene Hernandez I’ve been a Dental Assistant for seven years. I find the dental field a very rewarding career. It provides me the opportunity to help educate my patients on good oral Hygiene. I am a team player and enjoy meeting new people. I strive to provide my patients with the up Most gentle, caring and professional manner. I am married and a mom of two. My free time consists of Family activities and dinning at my favorite restaurant I have a love for sushi. Hello my name is Yessica Castro I have been a patient care coordinator for 6 years. The reason I enjoy my job as is am able to help our patients schedule and treat their dental needs financially and efficiently . I am easy going and work well with others. I’m also a big football fan. My free time is spent with family and friends, on my days off I enjoy trying new cuisines.